Following the death of Alfred, there was a decade of relative peace between the Anglo-Saxons and the Danes. 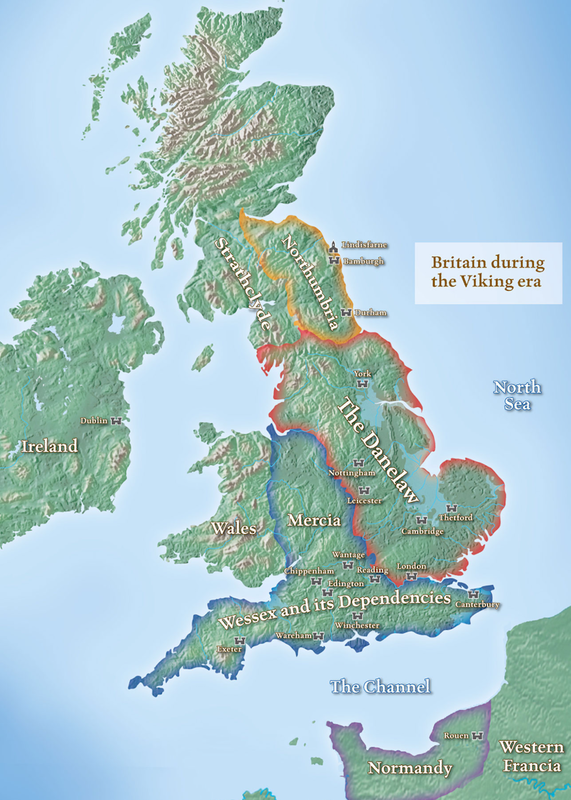 During this period, Scandinavian settlers continued to migrate to the Danelaw. In this episode, we explore the early Scandinavian influence on English in the Danelaw. We also examine the continuing Viking raids in France, and the founding of Normandy in the year 911. In the UK, the pronunciation of “Keswick” is actually closer to “Keszik”. Similarly, “Warwick” is pronounced as “Warrik”. Basically the “w” is silent and the consonant before it is lengthened. Interesting about good better best. In modern Norwegian it’s bra bedre best. But there is also the word “god” (as in god dag = good day) which does not have any superlatives. Which sounds very similar to doom. Interesting. I don’t have an etymological dictionary for Hebrew, so I don’t know if there is any relation. As you’ll see, while there could have been some borrowing from the Indo-European Avestan for some nuanced meanings, it’s most likely that the root is ultimately Semitic. Since laws were literally “set in stone” during the time of the Akkadians, there could be a connection between “dhoh” (“to set”) and “dēnu/dīnu” (“judgment > “that which is set in stone”?). In summation, however, we don’t know. Thanks Ryan for your input.